For more than 10 years, Nynas and Hankook Tire have travelled together on a road based on quality, excellence and cooperation. CHALLENGE: Meeting strict and ever-changing demands on tyre performance and quality. SOLUTION: Strong focus on R&D, manufacturing and using reliable, value-adding partners such as Nynas. RESULT: Excellent tyre performance and driving satisfaction. The seventh largest tyre producer in the world, Hankook Tire is a global manufacturer of premium quality tyres for a wide range of vehicles such as cars, trucks and buses, as well as motorsports. Aspiring to bring consumers the utmost excellence in product quality, technological excellence and driving satisfaction, Hankook Tire continuously invests in research and development maintaining five R&D centres and eight production facilities around the world. Production for the European region takes place at the state-of-the-art manufacturing site in Rácalmás, Hungary which was inaugurated in 2007 and is continuously being expanded. Currently, around 3,000 employees produce up to 19 million tyres a year for cars, SUVs and light trucks at the facility. 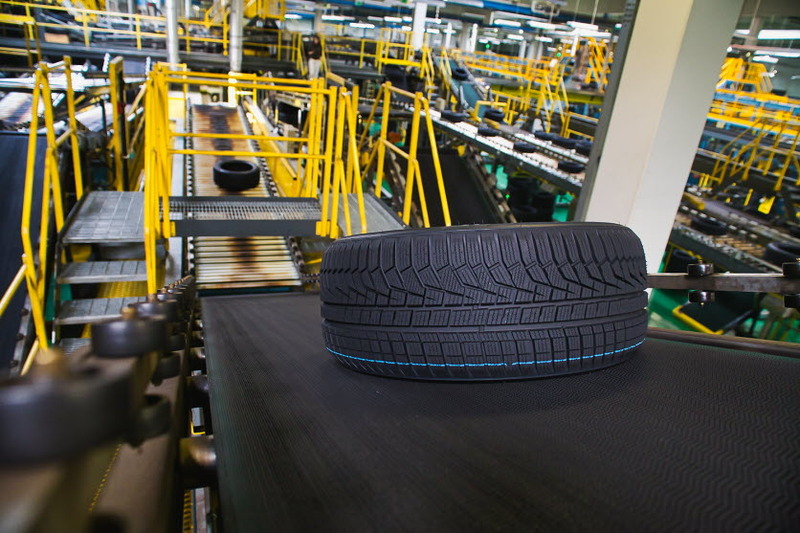 The collaboration between Hankook Tire and Nynas dates back to the opening of the Rácalmás plant. In 2007 and 2008, Hankook upgraded its existing tyre compounds to prepare for future environmental restrictions. Other occasions when Nynas played an important role as partner, providing service and value-added products, include the introduction of the new European labelling system in 2012 and the launch of Hankook’s self-sealing SEALGUARD® tyres in 2015. At the moment, Nynas is supplying two different process oils to Hankook, either as the exclusive or main supplier. Looking back at a ten-year partnership with Nynas, Éva Halász observes that this relationship was and remains beneficial for both companies. And with Hankook’s ambitious plans for the future, a lot remains to be achieved. Hankook Tire employs approximately 22,000 people worldwide and sells their products in over 180 countries. Internationally leading car manufacturers rely on tyres made by Hankook for their original equipment. Hankook Tire’s global headquarters are located in Seoul, South Korea, the European headquarters are located in Neu-Isenburg near Frankfurt am Main in Germany. Bespoke tyre solutions for the European markets, as well as European Original Equipment according to the requirements of leading premium car manufacturers, are developed in the company’s regional Technical Centre in Hannover/Germany.